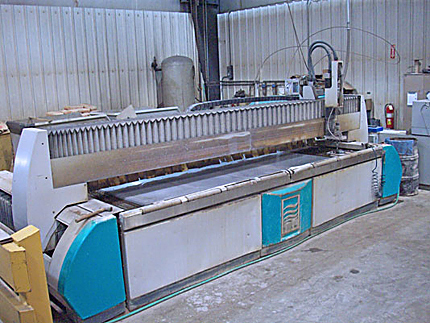 Midstate’s water jet can process all types of ferrous and non ferrous materials such as plastics, rubber, aluminum, copper, brass, fiberglass insulation, sound attenuation foam and glastic. 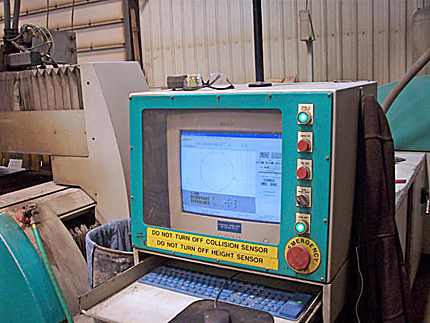 Sizes from film to 6 inch material. 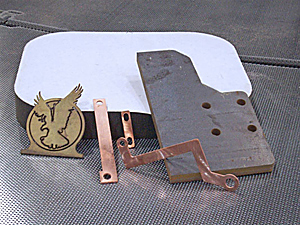 Here you see example parts sitting on waterjet cut perforated material: brass, copper, 3/4 thick steel plate, and sound foam. 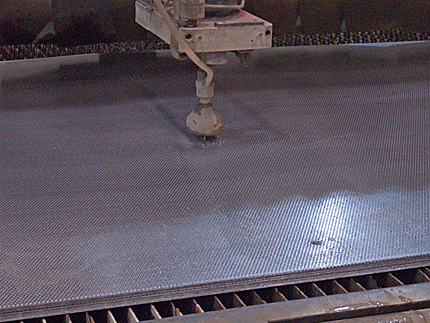 Below are 10 sheets of perforated material being cut in 1 pass.